I love phrases and find them so evocative of imagery and activity. 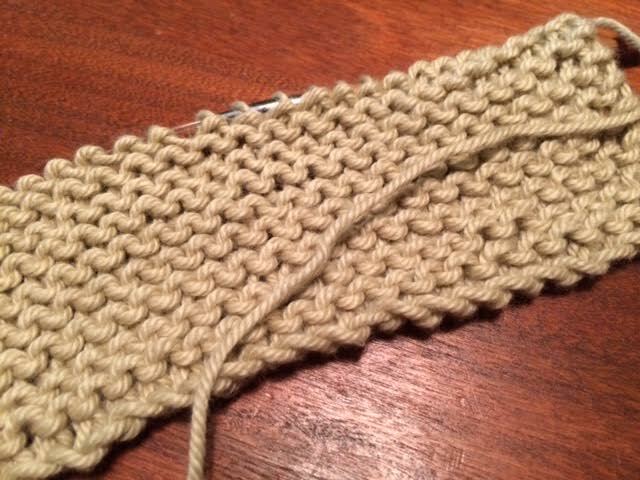 “Knit to Knot”, words I used in a social media discussion, sparked an interesting idea for further reducing my post dinner calories. It’s easy to merrily eat and drink while reading a book or doing an extreme Sudoku. It’s even easier to inhale calories while on social media or watching TV. But one cannot knit while simultaneously creating a crumbly edible mess. Starting tonight, my two easiest projects, a scarf and a wash cloth, are designated evening activities designed to distract my mind with rhythmic movement and tame my still too automatic eating. Instead of reaching for cookies, I will knit to knot eat more food. Breath work and knitting pair as beautifully as a glass of wine with a fine aged cheese. Can the knitting help me resist the latter? As with all things I do, flexibility is built right in. If after a good session of post-dinner knittery I still want dessert, it will be ok. Or I might decide that one of those cute little tangelos will be tastier. There will be no judgment about my decision, because the choosing will be more purposeful. This breathe one, knit one technique falls right in line with mindful pausing and pushing back – but Knit to Knot goes for the multi-tasking win by combining the satisfaction of creating pretty and useful projects with the peace of practicing mindful behavior. Mindful distraction will help me tonight after a delicious dinner of new potatoes and green beans (made with vegan “butter” to reduce cholesterol) and a lovely pan browned ham. How do you keep yourself occupied during The Eating Times? This entry was posted in Musing and tagged knitting, mindfulness, pausing, waiting, Weight Loss. Bookmark the permalink. What?! That many? I’m shocked! yea!!!!!!! Gotta go knit now! Lol. yep, women with a mission to knit away the pounds!